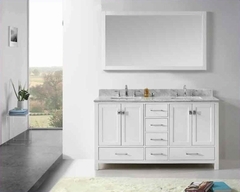 The Ashley Dining collection has a two-tone finish for a sophisticated interpretation of country cottage style. The fresh look of painted black finish with the oak finish makes your home feel inviting. The counter height table includes storage with two shelves in the base and a 12-inch butterfly leaf. Coordinating counter height bar stools and a server with a wine rack continue the appealing design style that includes tapered legs with turned details. 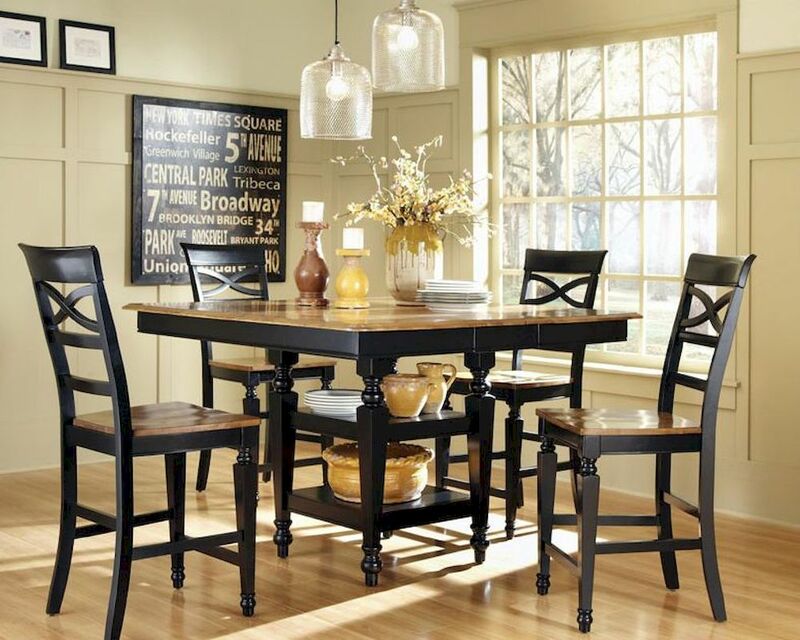 With its black and oak finish, this counter height table set offers a charming country cottage look. Tapered legs with turned details add to the style of the table and stools' legs. With two shelves, you can take advantage of extra storage and display space for your home at the base of the table. To add flexibility for gatherings, the table's top expands from 42 inches by 54 inches rectangular to a full 54-inch square shape with the 12-inch butterfly leaf. The bar stools match the table with their white finish with oak finish seats. The counter height bar stools include a rounded, horizontal X motif at the backrest and contoured seats for comfortable seating. Bar Stool - 23"L x 19"W x 44.5"H; Seat Height - 24", Seat Depth - 18"